The memories of my first visit to the US as a child in the '60s, were of its vast open horizon, the brightness of its sun and the energy of its people. 40 years later, I returned. I was excited and intrigued to rediscover this land. Setting out on the day of the inauguration of President Barack Obama, I began a cross-country voyage from Miami to Los Angeles. I encountered a culture far from the headlines, where the effects of massive economic and environmental disaster were clearly defined. Mile after mile of post hurricane ruin and recession based hardship provided a glimpse into an America unknown to most outsiders. The resulting project, “Stormbelt”, provided my first sketch of life in the “new” United States. Three years later, I retraced the route to assess this ever changing story. Gathering audio and video in addition to still photographs, this second voyage served as real-time measure of a country of resilience and hope, but wary of an unknown future. 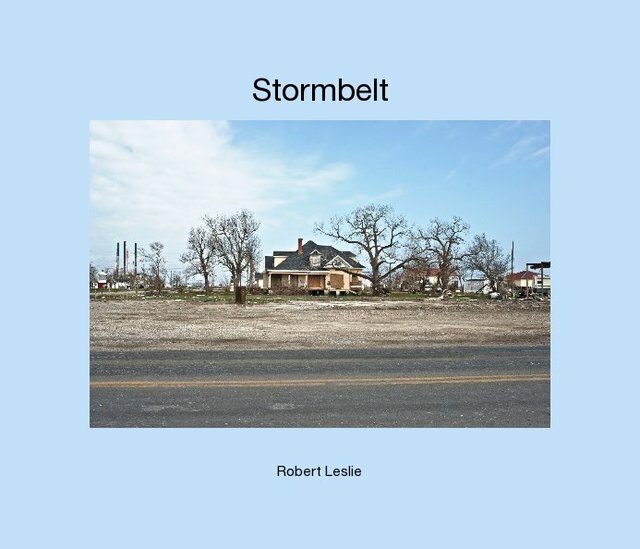 Stormbelt, an enhanced eBook of photography, film, conversation, sound collage and music. Essays by Edward Burtynsky and Cameron Sinclair. Editorial direction by Chris Boot of the Aperture Foundation.